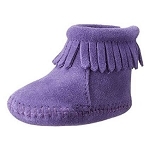 Minnetonka 1294S - Genuine Minnetonka style, soft rich purple suede natural leathers - easy to wear and tailored for toddlers. 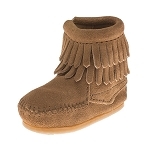 Double layer of fringe at the ankle and whip stitching at the toe. Side zipper for easy on and off. 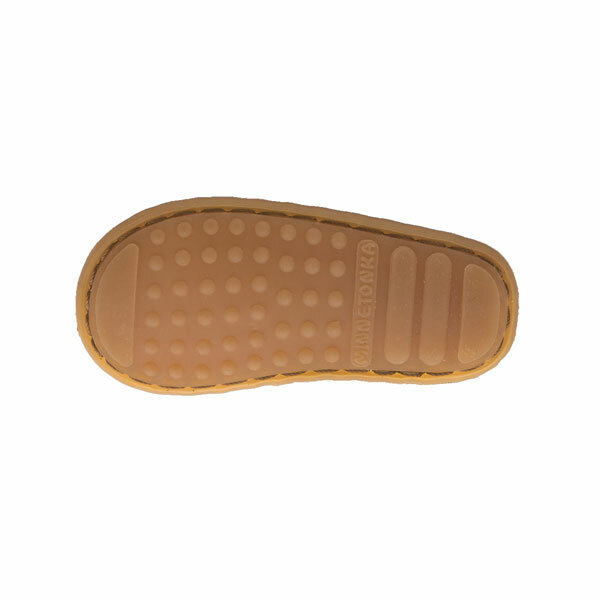 Fully padded insole with lightweight rubber sole. Other colors available. 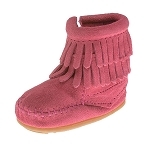 An adorable pint-sized bootie for little toes on the go! 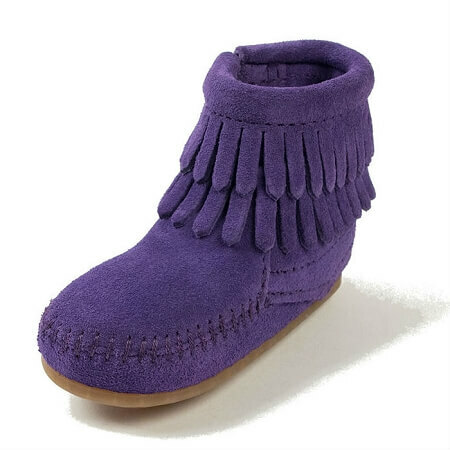 The soft suede bootie features a double layer of stylish fringe and an inner zipper for easy on and off. The suede leather lining cradles their little foot with comfort, while a rubber sole allows for sure-footed adventures.